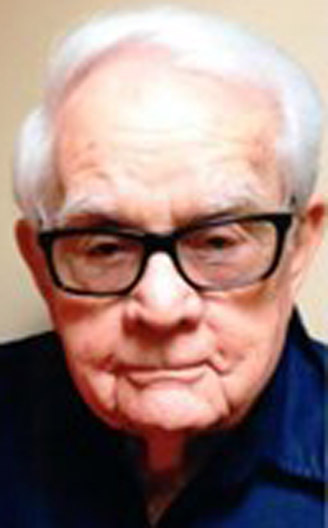 Richard Naylor Robison, 91, of Zanesville, passed away May 16, 2018. He was born on January 25, 1927 in Zanesville, Ohio to John and Lena Naylor Robison. He proudly served his country in WWII and continued to serve in the Army for another twenty years traveling all over the world. He later worked for the National Security Agency developing computer programs for twenty two years. After retiring he moved back to Zanesville. He graduated from Lash High School in 1945 and was a member of Central Trinity United Methodist Church. He is survived by his wife Juanita; nieces, Sheila (Bill Goff) and Chris (Bobby Head) and their families all of Georgia, his extended family, Janet James of Zanesville, Jay and Janet James of Florida, Boomer and Rhonda James of Marietta; special nephews, Mike and Larry Walker; seven grandchildren and fourteen great-grandchildren. He is preceded in death by his parents; his daughter, Teresa Lee; wife, Betty; sisters, Barbara Combs and Frances Swingle; son-in-law, Ken James. Calling hours will be held from11:00 a.m. to1:00 p.m. Friday, May 18, 2018 at DeLong-Baker & Lanning Funeral Home where services will take place at 1:00 p.m. Burial will take place at Zanesville Memorial Park with full military honors conducted by the United States Army in conjunction with the VFW George Selsam Post 1058 and American Legion Post 29. Memorial donations can be made to Central Trinity Methodist Church or Hospice. To sign the online guestbook please visit www.delongbakerlanning.com.